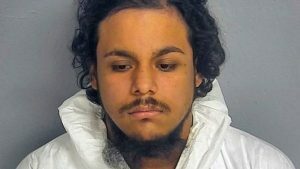 From Fox News: An illegal alien accused of a triple murder in Missouri was previously jailed and released in New Jersey on domestic violence charges, authorities said, putting the spotlight on the conflict between local and immigration authorities nationwide. “Yet again, an ICE detainer was ignored and a dangerous criminal alien was released to the streets and is now charged with killing three people,” Price said. “Had ICE’s detainer request in December 2017 been honored by Middlesex County Jail, Luis Rodrigo Perez would have been placed in deportation proceedings and likely sent home to his country – and three innocent people might be alive today. “It is past time that localities realize the perils of dangerous sanctuary policies and resume their primary goal of protecting their residents,” Price added. The county said it adopted a policy last year of honoring detainer requests from ICE if the inmate has convictions for first- or second-degree offenses or is ordered deported by a federal judge. During Perez’s stint in jail, ICE never requested an order of deportation against Perez, county officials wrote. Missouri law enforcement officials believe Perez and Aaron Anderson, 19, killed their ex-roommates Steven Marler, 38, and Aaron Hampton, 23, after they were kicked out of their Springfield home. Perez is also accused of killing a 21-year-old Sabrina Starr the next day at her house. He is charged with eight felony counts in the shootings. 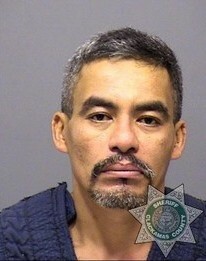 From Oregon Live: Federal officers say they placed an immigration hold in March on a man facing domestic violence allegations but the Multnomah County jail wouldn’t recognize their civil detainer. The man is now accused of killing his wife and dumping her body in a ditch near a summer camp outside Sandy in Clackamas County. The case is the latest to shine the spotlight on Oregon’s controversial sanctuary law just as voters in next week’s election will decide whether to repeal the law. The matter goes to the heart of the debate over the 31-year-old law, a major thorn in the side of the Trump administration’s crackdown on illegal immigration. Attorney General Jeff Sessions has singled out Oregon and other states with similar laws as a haven for criminals who don’t belong in the United States. It also exposes the fraying relationship between the Multnomah County Sheriff’s Office and U.S. Immigration and Customs Enforcement. The latest case has both agencies accusing the other of not protecting the Portland community. ICE officials said they put a hold on Martin Gallo-Gallardo on March 6 after he was arrested and accused of felony fourth-degree assault in the alleged abuse of his wife. The agency provided The Oregonian/OregonLive with a copy of the receipt from the fax they sent to the Sheriff’s Office. Gallo-Gallardo, a Mexican citizen, illegally entered the U.S., according to ICE. Border Patrol officers had previously apprehended him multiple times, federal officials said. ICE wanted the county jail to alert immigration officers before Gallo-Gallardo’s release so they could pick him up and hold him for deportation proceedings. County sheriff’s officials said they didn’t get the ICE request but wouldn’t have followed it anyway. They argue that the detainers are administrative requests, not criminal warrants, and don’t meet state and federal law. Gallo-Gallardo, 45, posted bail and prosecutors soon dismissed the felony assault allegations when his wife and a daughter wouldn’t cooperate in the case and a grand jury didn’t return an indictment, according to court records and investigators. This week, Gallo-Gallardo was charged with murder, accused of fatally stabbing his wife, Coral Rodriguez Lorenzo, 38. An ICE spokeswoman suggested if Multnomah County had alerted the federal agency so its officers could pick up and hold Gallo-Gallardo before he was released from jail, he probably wouldn’t have returned to his family. “ICE maintains that cooperation by local law enforcement is an indispensable component of promoting public safety,” said Tanya J. Roman, a spokeswoman for the ICE regional office that covers Oregon, Washington, Idaho and Alaska. “It’s unfortunate that law enforcement agencies like the Multnomah County jail refuse to work with ICE to promote public safety by holding criminals accountable and providing justice and closure for their victims,” she said. Sheriff Mike Reese has said his deputies will hold a person for ICE only when they receive a federal criminal arrest warrant signed by a judge, and won’t share information with federal immigration authorities. The Sheriff’s Office said it never received the civil detainer for Gallo-Gallardo, though it wouldn’t have kept him on an administrative immigration hold in any case, said Sgt. Brandon White, sheriff’s spokesman. The Sheriff’s Office pushed back at ICE in a scathing response Friday. “ICE is putting our community at risk with their failed enforcement strategy of not using the authority the agency already has to hold people accountable,” the office said in a statement. “No Oregon jail can hold someone on a civil detainer based on the federal court case Miranda Oliveras v. Clackamas County. The U.S. Attorney’s Office knows this, ICE knows this, but they persist in pursuing this failed strategy. Federal officials had ample time to do their job. They had his name, address and his telephone number. Unenforced gun laws combined with bureaucratic mistakes cost a deputy his life. Tragic. From Sacramento Bee: Anton Lemon Paris, the man accused of killing one Sacramento County sheriff’s deputy and wounding another, has been charged on multiple occasions with serious crimes including assault with a deadly weapon and possession of an illegal assault rifle. 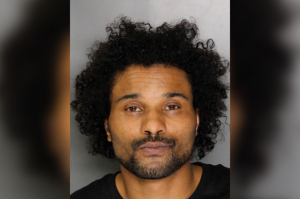 With regular frequency, he has been arrested for lower-level offenses including domestic violence and carrying a loaded firearm, according to court records, and reported to police for alleged bank fraud, car theft and making death threats. He has been banned by the courts from owning guns at least twice, but for years has openly flaunted them on social media and on city streets. As recently as July, he was reported to police for firing a gun in public. Paris, 38, is now charged with murder and attempted murder for the Sept. 17 Rancho Cordova shooting that left Sacramento County Sheriff’s Deputy Mark Stasyuk dead and his partner Julie Robertson wounded. Paris allegedly pulled a gun on the deputies seconds after they entered the Pep Boys store in Rancho Cordova, shooting a clerk before following Stasyuk outside and firing lethal shots into his back and head. It’s a grim finale to at least 20 years of violence and trouble that thrust Paris into the path of law enforcement and the courts more than a dozen times, but which resulted more in luck and leniency than consequences. His life was punctuated with a series of minor infractions that made him appear more of a menace than a threat. But a critical mistake on his rap sheet, plea deals, favorable jury decisions and apparent inaction by law enforcement allowed Paris to continue unchecked a chaotic and malevolent life that seemingly slid deeper into criminality the more he escaped punishment, official records show. Paris’ most serious conviction came in 2010 from possessing a pair of homemade nunchucks – a felony that was erroneously recorded on his state criminal record as a lesser charge. The incident that led to the conviction started with a nuisance call on April 4, 2008. A neighbor living near Paris’ father, Anthony Paris, in West Sacramento called police to report a person playing a car stereo in the morning, loudly enough to trigger her migraines. An officer arrived and found the younger Paris in his Lincoln Town Car, parked in his father’s driveway. Paris turned down the stereo, locked the car and turned on the alarm as the officer approached. The officer said in court testimony he thought it was strange behavior and became suspicious. He asked to see identification and Paris turned over his wallet. Inside, the officer found a list of guns with serial numbers, according to court records. Two guns on the list were reported stolen, but were never located in Paris’ possession, according to court documents. The officer searched the car and found a loaded Glock .45 caliber handgun under the passenger seat, ammunition, marijuana, scales and an illegally modified Ruger Mini-14 semiautomatic rifle in the trunk. He also found what Paris claimed was a broken security baton but which a court expert described as homemade nunchucks – two wooden dowels with holes drilled to allow rope to connect them. Nunchucks are prohibited in California and possessing them can be a felony offense. Paris was registered as a security guard and held a valid exposed firearm permit from the state Bureau of Security and Investigative Services, allowing him to have the handgun in his car for work purposes, agency records show. The rifle was not required by the state to be registered, but was modified with a flash suppressor, according to court testimony. That made it illegal, but Paris claimed he didn’t know about the suppressor. Paris also possessed a medical marijuana license, making the cannabis legal – though the 101 gram quantity led to charges of selling it. Paris said he used the cannabis to treat pain for a gunshot wound he had sustained in his leg a year prior related to his work as a security guard, when he claimed someone from an apartment complex he guarded had recognized him off duty and attempted to rob his car. He told the court he was receiving state disability from that injury, along with a payment of $8,597.16 from a state victims’ compensation fund, more than $4,000 of which the arresting officer found in the pocket of his 49ers jacket. A Yolo County jury believed him and hung on most counts, but convicted him of one felony for having the makeshift martial arts weapon. He was also found guilty of enhancements to the felony that included being armed with a firearm and an assault weapon. Paris was given 273 days in county jail in February 2011. During the sentencing hearing, Paris snuck out of the courthouse and disappeared. Whether Paris was apprehended or turned himself in is unclear, but records show he began serving his sentence in June 2011. The conviction was listed on his state criminal record, commonly called a rap sheet, as a misdemeanor. The California Department of Justice, which maintains rap sheets, declined to speak about the mistake, citing state privacy laws. A bunch of feel-good policies that do nothing but infringe upon our Constitutional rights. From Yahoo: (Chicago [oh, the irony starts right there]) – With frustration mounting over lawmakers’ inaction on gun control, the American Medical Association on Tuesday pressed for a ban on assault weapons and came out against arming teachers as a way to fight what it calls a public health crisis. Support any bans on the purchase or possession of guns and ammunition by people under 21. Back laws that would require licensing and safety courses for gun owners and registration of all firearms. Press for legislation that would allow relatives of suicidal people or those who have threatened imminent violence to seek court-ordered removal of guns from the home. Encourage better training for physicians in how to recognize patients at risk for suicide. Push to eliminate loopholes in laws preventing the purchase or possession of guns by people found guilty of domestic violence, including expanding such measures to cover convicted stalkers. From MSN: Vermont on Wednesday raised the age to buy firearms, banned high-capacity magazines and made it easier to take guns from people who pose a threat — the first significant gun ownership restrictions in state history, signed into law by the Republican governor. It’s a remarkable turnaround for the largely rural state that traditionally has refused to impose restrictions on gun ownership. Standing on the Statehouse steps, Gov. Phil Scott signed the three bills into law before a crowd of gun rights activists and supporters of gun control. “This is not the time to do what’s easy, it’s time to do what’s right,” the governor said. Scott, a gun owner, had urged the Legislature to pass gun restrictions in the aftermath of what police called a narrowly averted school shooting in Fair Haven by a teenager. He said the incident proved to him that Vermont isn’t immune from the school violence that has plagued other parts of the country. An arrest in the February Fair Haven case came the day after a high school shooting in Parkland, Florida, that left 17 people dead. Vermont’s new gun laws are mild by some standards. But they are part of a trend of states passing gun restrictions, prompted in part by the Florida mass shooting, said Robert Spitzer, a political science professor at the State University of New York at Cortland who has written books on gun policy. “There has been movement in a number of states,” Spitzer said. But Vermont is significant “because Vermont is traditionally such a strong gun-rights state and has not moved in this direction in ages, if ever,” he said. While gun control advocates have praised Vermont’s new laws, the state’s traditionally powerful gun rights advocates and members of the outdoor community feel betrayed by Scott, whom many supported during his 2016 election campaign. During debate on the legislation, many firearms owners milled around the Statehouse halls wearing hunter orange vests or hats. “The tyranny of democracy has overwhelmed the protections of my constitutional, individual rights,” said Bill Moore, a firearms policy analyst for the Vermont Traditions Coalition who fought against the gun restrictions. Gun rights advocates in the state generally support taking guns away from people deemed dangerous or prone to domestic violence, both covered by the new legislation. But they fiercely oppose provisions in the laws that raise the age to buy firearms from 18 to 21, restrict the size of gun magazines and require background checks for most private gun sales. On Tuesday, a bipartisan group of Vermont lawmakers urged Scott to veto the bill that contains the provisions they find onerous. Democratic State Sen. John Rodgers, who represents a rural area of the state known as the Northeast Kingdom and spoke fiercely against some of the gun restrictions, is considering a run for governor. “It will affect law-abiding citizens while doing nothing to stop evil people and criminals from doing harm to others,” Rodgers said of the legislation. But supporters of the restrictions say the time has come in Vermont. “I think it sends a signal that the cultural shift … is huge in Vermont, and I don’t think there is anything in these bills that are going to take guns away from any law-abiding person,” said Clai Lasher-Sommers, executive director of the Gun Sense Vermont, which was formed in the aftermath of the 2012 elementary school shooting in Newtown, Connecticut, that left 26 first-graders and educators dead. In our comments on FOTM, some of us had idly chatted about how we don’t understand political odd couples — husband and wife who are political-ideological opposites. Speaking for myself, I cannot imagine having as my husband a man whose core beliefs and values are diametrically opposed to mine. What would we have in common? Unless you’re a starry-eyed teenager (do they still exist in our jaded decadent times? ), we all know sexual attraction or romance dissipates over time. This may be an extreme case, but nevertheless illustrates how challenging life must be for a political odd couple. An elderly man got into a heated argument with his 27-years-younger wife over Romney and Obama, which ended in domestic battery! Brian Hamacher reports for NBC Miami, Oct. 3, 2012, that police arrested 74-year-old Peter Schwartz of Hollywood, Florida, and charged him with one count of battery for slapping his (unnamed) wife. So he slapped her on the left side of her face with his open right hand, then yelled at her. He also pushed her in her chest, causing her to fall in the grass. Officers noted in the police report that she had redness and swelling on the left side of her face. Although Mrs. Schwartz refused to fill out a complaint affidavit, police arrested Peter at his home in the 4000 block of Hillcrest Drive around 8 p.m. Tuesday. He was held on $1,000 bond yesterday; it’s unknown whether he has an attorney. At his arraignment, Judge John Hurley told Schwartz, “You shouldn’t talk about politics sir, you really should not,” and ordered him to have only phone contact with his wife and to stay 500 feet away from her. Schwartz is forbidden from possessing any guns or ammunition. For his part, Schwartz insisted that “I love this woman more than my own life,” to whom he’s been married for 24 years. Although Mrs. Schwartz is not named in media reports, I did a people search and found that Laura Lee Jansson, age 47, who also lives in Hollywood, Florida, is identified as one of Peter Schwartz’s family members. On June 22, 2009, Brown pleaded guilty to a felony and accepted a plea deal of community labor, 5 years’ formal probation and domestic violence counseling. The suffragettes, like Susan B. Anthony, who fought so hard for women’s right to vote must be so proud. Domestic abuse is now open to interpretation as “art”? Fluid Hair began the ad campaign about a year ago, but the controversy hit the mainstream media after the ad was discovered by bloggers this week. Critics say the ad diminishes the seriousness of spousal abuse and would like to see the ad pulled. “I think it’s more than lived its useful life,” said Jan Reimer, co-ordinator with the Alberta Council of Women’s Shelters. “This advertisement is at risk of glamourizing an issue that is of serious and life-threatening, ongoing concern to all the women and children who use our shelters,” said Janine Fraser, director of the Edmonton Women’s Shelter. The salon has sent an email explaining the ad to Edmonton Women’s Shelter. Reimer said women’s shelters would welcome the chance to work with the salon. “Hairdressing salons can have a tremendous impact,” she said. “So many women go to hair salons, it’s a natural place to give out information about community resources. I’m going to blame Cameron on this. She has a sick and twisted mind to even consider domestic abuse as “open to interpretation” from an “artistic” standpoint. This woman obviously hasn’t know someone who was the victim of violence. And she further proves her lack of compassion in her lame attempt to make an apology. Hope her salon gets the boycott it deserves.